Last week, China based Alibaba Group Holding Limited moved forward with its initial public offering (IPO) process when it filed a registration with the U.S. Securities and Exchange Commission. The firm was founded in 1999 and its largest owners are Jack Ma (its founder) 8.9%, SoftBank 34.4% and Yahoo 22.6%. In addition, the firm is overseen by the Alibaba Partnership that has 28 members (22 from management and 6 from the management of related companies and affiliates). Note: Alibaba has not disclosed the members of the partnership. The firm’s Internet services are among the largest in the world. Its on-line retail sites Taobao Marketplace, Tmall, and Juhuasuan account for about 83% of revenue. Other services include Alibaba.com, China’s largest global online wholesale marketplace and AliExpress, a global consumer marketplace that provides cloud-computing services. Their ecosystem of partnerships include Alipay (payment and escrow services); Zhejiang Cainiao Supply Chain Management Co., Ltd. (shipping and logistics services), UCWeb (developer of a mobile web browser). Alibaba investments include $202 million investment in Shoprunner (U.S. shipping services similar to Amazon Prime), $217 million in 1stDibs (on-line luxury ecommerce site) and Lyft (ride sharing service). Last week’s registration starts an SEC review process that will likely result in a listing in the U.S. later this summer. With a business model driven by a mix of technology and Internet services that compete with Amazon,EBay/PayPal, Google and others; the IPO will be one of the largest in history. Proceeds from the IPO should help Alibaba expand its global presence. 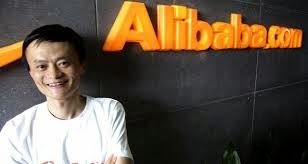 Risks that investors should consider include: 1) the potential that China’s government could place restrictions on how the firm operates, 2) lack of clarity about who are members of the Alibaba partnership, increasing competitionand 3) will the valuation of the stock be justified. Financial article… author has nailed the whole explanation…. Such impressive way is applied in this article. Thanks for the IPO update.